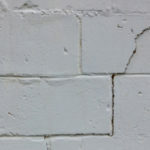 Tuck Pointing, Brick and Chimney Repair Toronto | Turnbull Masonry Ltd > Blog > Blog > Garage Floor Cracks – What Causes Them? Help! What is causing cracks to form in my garage floor? 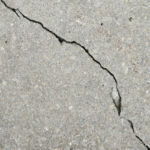 Garage floor cracks can be a warning sign for foundation problems and other issues. Yet, not all cracks are worth worrying about. Depending on the size, shape and location of the crack you’re dealing with, you may or may not need to act as soon as possible. In most cases, garage floor cracks are fairly common and shouldn’t be a major concern. Can Garage Floor Cracks Occur in Newer Homes? Absolutely, newer homes can develop concrete or garage floor cracks within the first few months or years of construction. There are many different reasons that a new garage floor may crack. If the crack is wider than 1/8-inch or one side of the crack is higher than the other, you should have an expert out to look at it immediately. Cold joints are often mistaken for garage floor cracks. Cold joints are intentionally created when one batch of concrete begins to set before the next batch is added. This is due to delays in construction, stoppage, or low rate of pour placement. Control joints may also resemble cracks, but they are not. They are placed throughout slabs of concrete to allow contractors control over where the concrete will eventually crack. This also gives concrete more flexibility when it naturally expands and contracts. More commonly, garage floors have control joints rather than cold joints. Both control joints and cold joints should not be a problem. Shrinkage cracks are typically not a huge concern. As concrete dries it can shrink about 1/8 of an inch in each direction. This can cause tiny shrinkage cracks to appear. It’s relatively normal for new homes to settle within the first year or two after construction. This can cause small cracks to appear in surfaces. In most cases, these cracks should not be a concern. Construction projects are commonly expedited, which can cause cracks in the foundation. Rushing the construction process is never a good idea because it will increase the risk of issues in the future, including the presence of cracks. Crazing cracks are identified as hairline-type cracks that appear in random hexagonal patterns. They are typically under 1/8 inch deep. Common causes include improper troweling and concrete placement. The sub-grade and base must be properly compacted to prevent it from sinking down under the weight of the concrete. If the sub-base starts to sink, it will cause weak areas to dip down and crack. Ensuring the concrete slab has proper steel reinforcement will help reduce cracking and make the slab stronger. In most cases, a concrete slab that lacks proper reinforcement will crack no matter what. 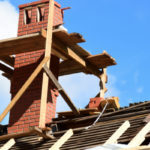 What Are Signs of Structural Damage? Cracks can signal structural damage, in which case it is important to address the issue promptly. 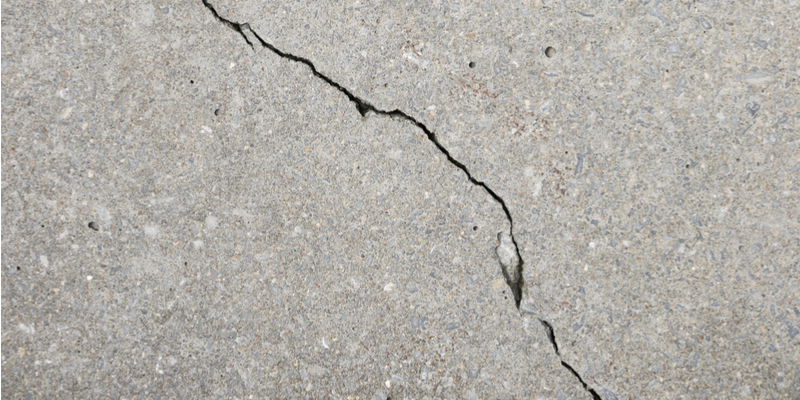 So how do you know if your garage floor cracks are a sign of structural damage? Do you have a significant number of cracks? Is one side of the crack higher than the other side? Does the garage floor crack continue up the wall? If you answered yes to any of the above questions, you should keep investigating the possibility of structural damage. Need help identifying if your garage floor cracks are a cause for concern? 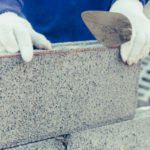 Contact the experts at Turnbull Masonry!